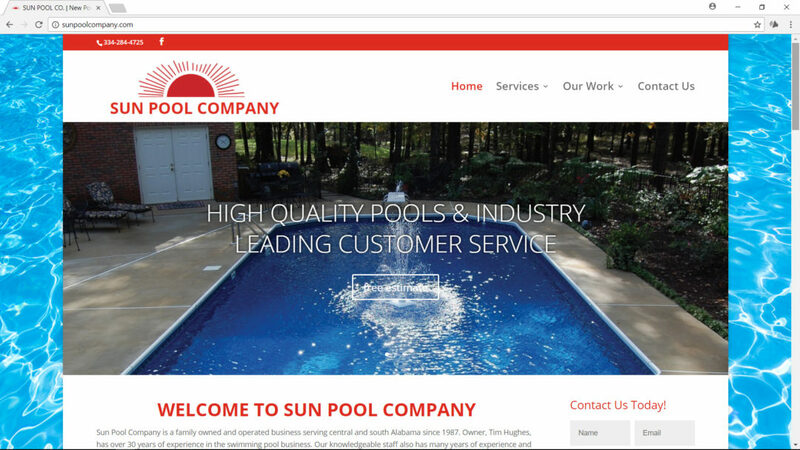 Description: Is a pool company located in Millbrook and Montgomery, AL for pool installation, maintenance, repair, and pool liners. Needs: Online marketing for key words for Alabama and local areas. Services: Website design and development, website hosting and maintenance, search engine optimization, BOOM app, reputation management, and social media maintenance options. Results: Went from getting 0 leads in 5 years from old website to getting 1 lead a day with new BOOM site.